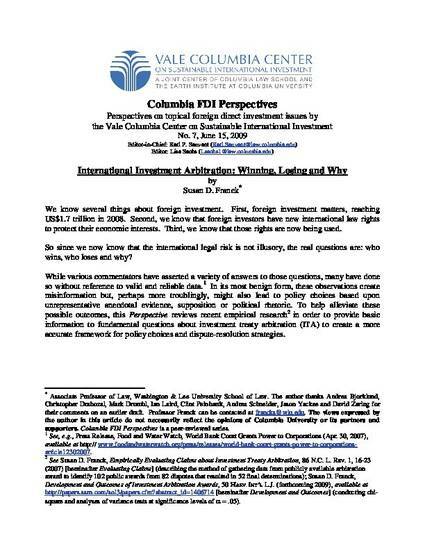 Susan D. Franck, International Investment Arbitration: Winning Losing and Why, 7 Colum. FDI Pers. (2009).